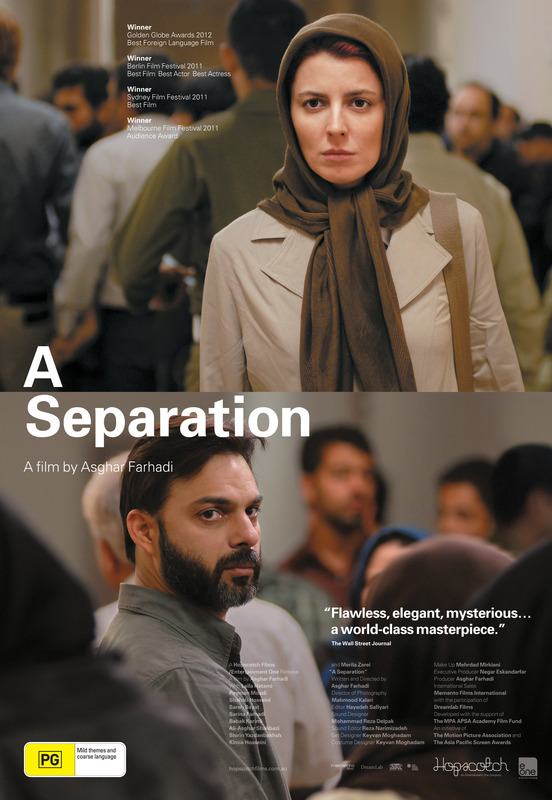 Brief Synopsis – A married couple living in Iran must try and deal with their impending divorce since the wife wishes to travel to create a better life for their daughter but the husband feels the responsibility to stay and care for his ailing father who lives with them. My Take on it – This is a film that I have avoided watching for years solely due to the fact that it is entirely in a foreign language. My friend Audrey of 1001 Movies and Beyond suggested over a year ago that I watch this film and I have now finally done so Tnx Audrey! This was such an engaging film to watch! They do a great job showing how even in societies that oppress certain rights of its citizens, there are people who find a way to live their lives in ways where they feel freer and in some ways closer to the kind of life we live in the West. This film has a number of interweaving storylines that are quite effective in showing how complex situations can get really quickly and then can rapidly unravel due to new information slowly coming to light again and again. The most effective scenes for me are the ones in the police station and in the courtroom because they help us understand the kind of world they live in. Despite the fact that I have a personal connection to fellow Oscar Foreign Language Film Footnote (2011) that makes it quite dear to my heart, I now see that this is a further reaching idea for a story and that it deserved to win. Bottom Line – Great film that shows that even in societies that oppress certain rights, there are still ways to live their lives in similar ways to the West. The interweaving storylines work really well in order to show us how complex certain situations can get as they slowly begin to unravel due to new information becoming revealed. The divorce and police scenes are especially effective in trying to show the kind of world they live in. Definitely deserving of the Best Foreign language Oscar that year, even if Footnote (2011) was dearer to my heart. Highly Recommended! This is a fantastic and moving to piece of film. So glad you watched this one. And it definitely deserves its win. I thought this was an absolutely excellent film. It also features one of my favourite onscreen father-daughter relationships.